The Startup Lab is a special course for students who wish to test their entrepreneurial project. After a committee has screened the projects, Audencia Business School students can carry out their pre-graduation internship with student-entrepreneur status in connection with the PEPITE CREER Student Hub for Innovation, Transfer and Entrepreneurship. In this context, the student-entrepreneurs have access to a special co-working section in the school, group coaching, networking with the entrepreneurial ecosystem and an individual mentoring as and when needed. The goal of the Startup Lab is to provide student-entrepreneurs with a suitable work program, to confront their concept with genuine market requirements. Eventually, the students have the information they need to decide whether or not to create the company, and whether or not to start contacting business incubators or accelerators. 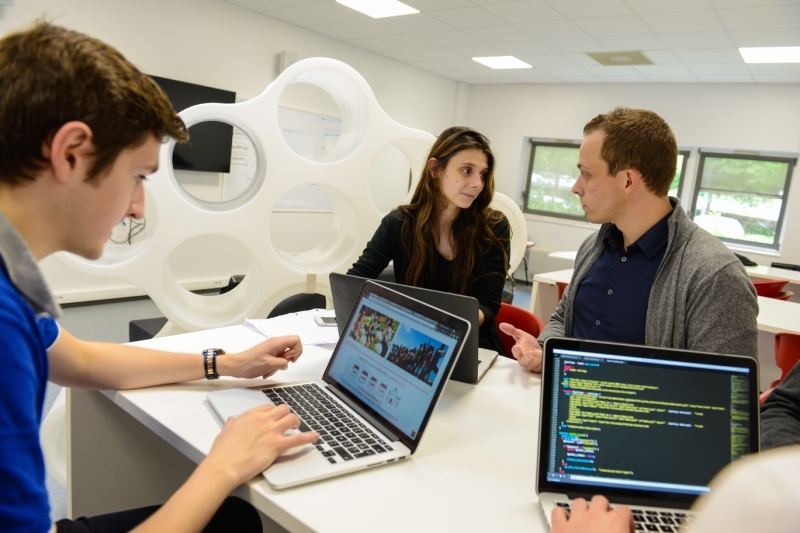 With the Startup Lab, Audencia students can resolve any uncertainties they may have about their project and become fully-fledged entrepreneurs as soon as they graduate.